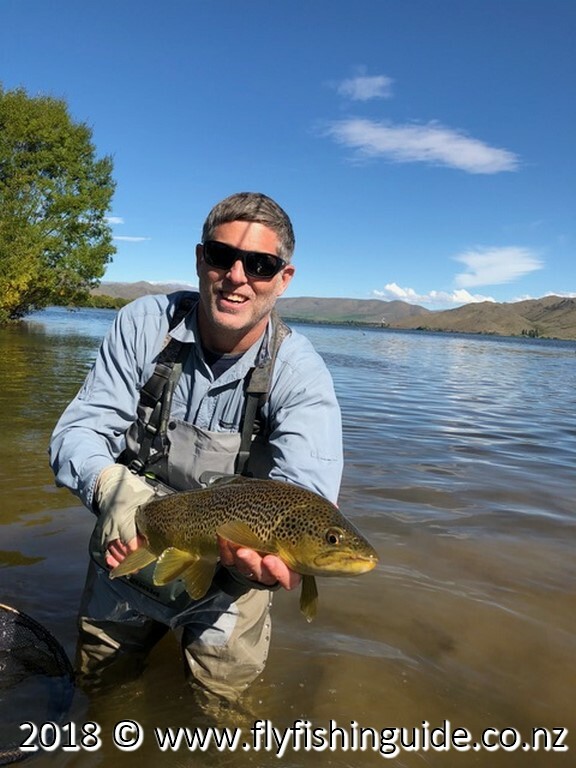 Fishing doesn't get much better than this! 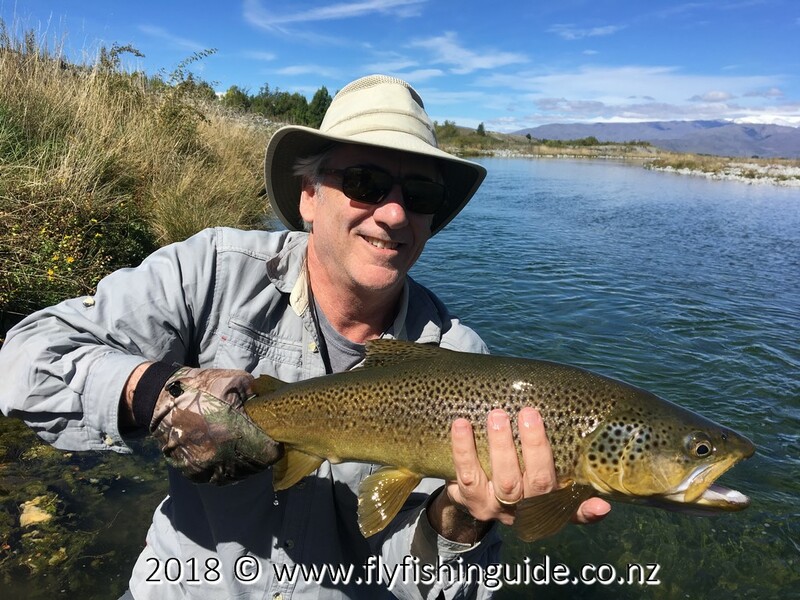 March 2018 was another busy month with often less than optimal conditions for our favoured sight fishing approach. 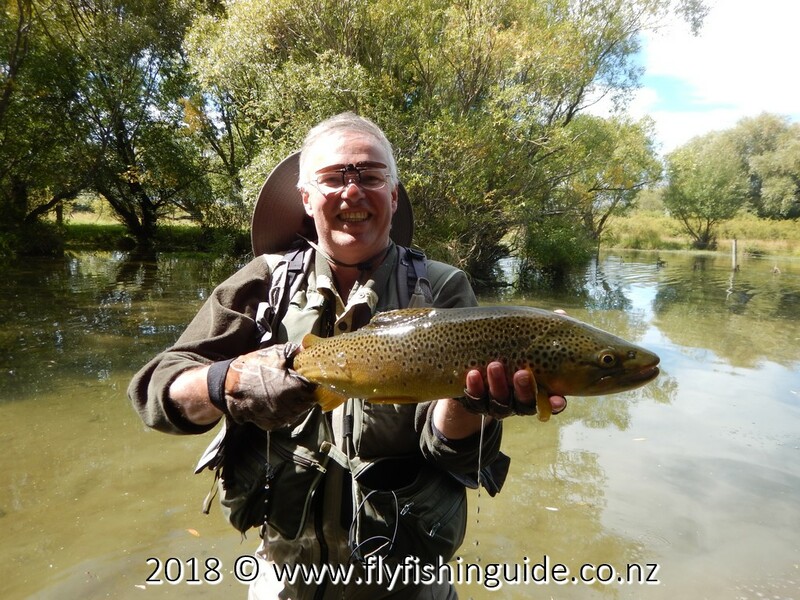 High river levels combined with cloudy, often windy days meant visiting places I rarely go to as well as stalking good sized brown trout on the lake shore. When I'm not guiding, stalking cruising lake shore browns is my preferred method of fly fishing. 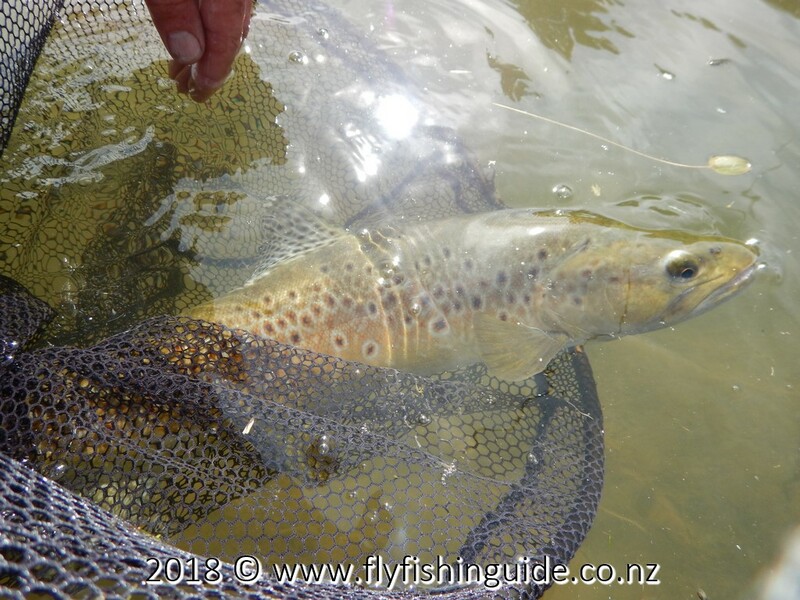 The trout that are visible are always "gettable" albeit highly selective at times. You need to be fast and accurate with your cast for success especially when spotting conditions are not good. 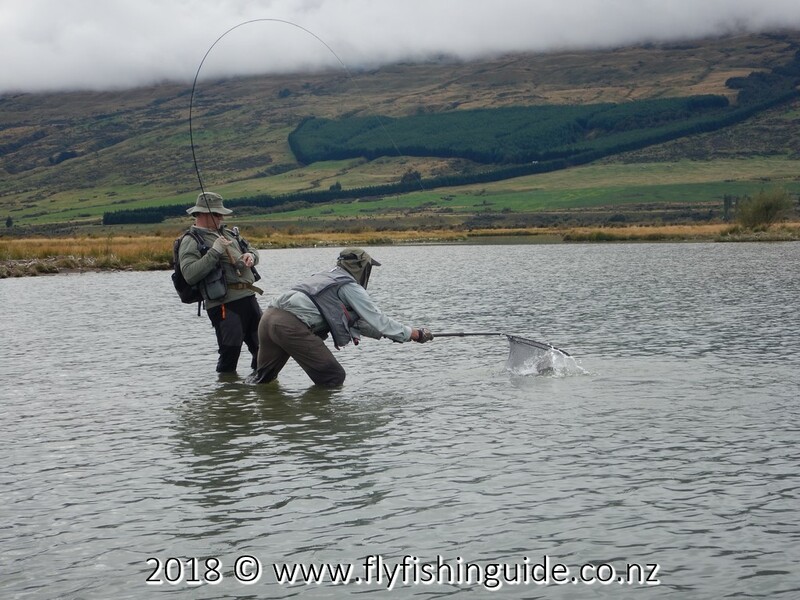 It's very frustrating to lose sight of a trout before being able to present a fly to it. 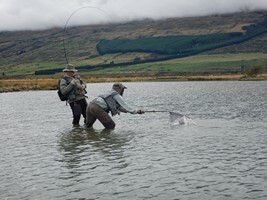 If you can get that fly in front of the fish while you can still see it you are at least in with a chance! 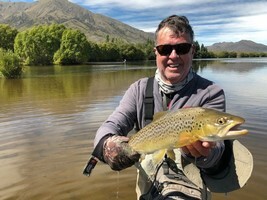 My guests this month include John and Nick, a very likeable father and son combo, Tim, who managed to persuade his charming wife to let him spend a day fishing with me and Didier paying a second visit to NZ from Switzerland after a 3 week stint back in mid November. One of the highlights of being a guide is meeting such a wide variety of people from all over the globe." 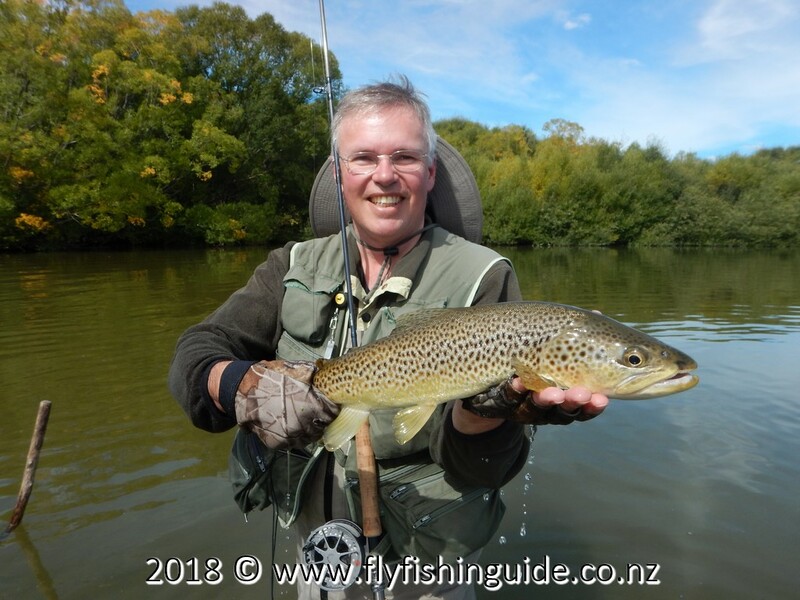 Tim with a nice brown in idyllic conditions. 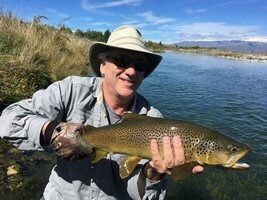 A brown trout on his way home. 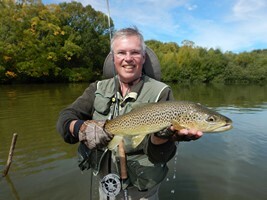 A fine Benmore brown trout for Didier. 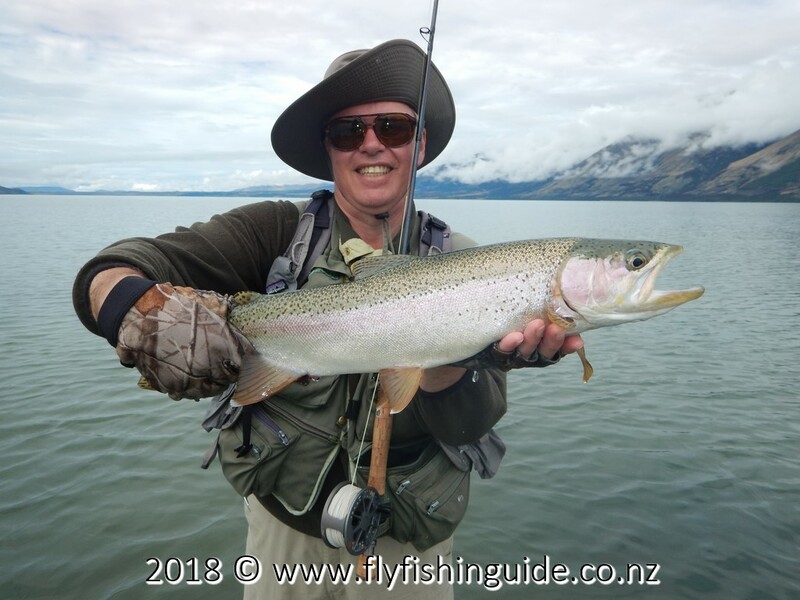 A lovely conditioned high country rainbow. Another beautie! 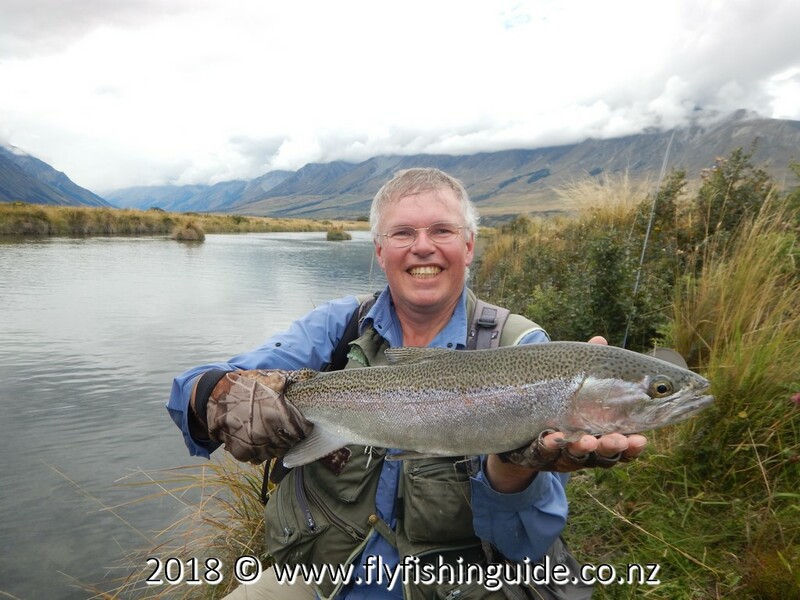 Guide and angler (Alain) at full stretch! John shows how it's done! Nick with a great brownie after a successful stalk.